By: Carl E. Hartley, Esq. This State’s industrial machinery exemption for sales and use tax purposes offers a significant benefit to manufacturers in Tennessee. This important exemption was expanded during the 2015 Legislative Session to include research and development. Through proposed regulations which are intended to be effective September 26, 2016, the Tennessee Department of Revenue (“Department”) is providing guidance as to the use of this R&D exemption. On February 25, 2016, the Department filed proposed regulations with the Secretary of State which cover a wide variety of procedural and substantive Tennessee tax topics. This filing includes new Sales and Use Tax Rule 1320-05-01-.128 (“Rule 128”) which, when effective, is intended to provide more information regarding the application and administration of the R&D exemption. 1. Who Can Benefit from the R&D Exemption? 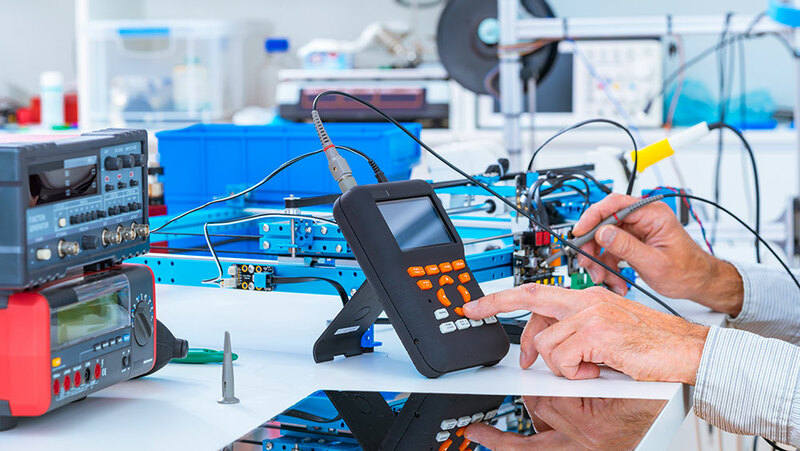 Subsection (6) of new Rule 128 provides that “(p)ersons are not required to be engaged in any business of fabricating and processing tangible personal property for resale” in order to qualify for the R&D exemption. Thus, manufacturers and taxpayers that are not manufacturers are allowed to apply for the R&D exemption. f. the design and development of prototypes, whether or not a resulting product is offered for sale. g. research in connection with literary, historical, social science, psychological, or other similar nontechnical activities. 4. How to Apply for the R&D Exemption? Subsections (3) through (5) of new Rule 128 provide insight as to the application process as well as related topics. Subsection (3) provides that application shall be made to the Department for authority to make R&D purchases exempt from the tax; and further provides that, “the application shall give such information” as the Department may require. The Department has advised that the form of such application will not be the same as the current Application For Industrial Machinery Exemption used to obtain the general industrial machinery exemption. Rather, a new specific form applicable only to R&D purchases is being prepared by the Department and will be published on the Department’s website. Further, Subsection (4) provides that the R&D exemption authorization “must be obtained prior to making such purchases exempt from the tax.” That Subsection goes on to state that if authority is not obtained prior to the purchase, Department may allow retroactive application upon a showing that the failure to obtain the authority resulted from: (a) a major restructuring of the business or the business having gone through a change in ownership; or (b) a death of a key person in the tax area of the organization, or (c) the entity having been misled by State officials which indicated that the authority to purchase R&D machinery was not required; or (d) any other ground that the Department finds satisfactory to allow a retroactive application of the exemption. Since the statutory exemption has been in effect since July 1, 2015, the previous unavailability of the specific form would hopefully constitute “other grounds” upon which the Department will allow the exemption to be issued retroactively for purchases from and after July 1, 2015 — assuming all other conditions for the R&D exemption are satisfied. Subsection (5) provides that vendors shall be provided with a copy of the tax exemption authorization issued by the Department or a fully completed Streamlined Sales Tax Certificate of Exemption which must include the R&D exemption authorization number on the certificate issued by the Department. There are a number of conditions that must be fulfilled in order to obtain this R&D tax exemption. Your particular facts and circumstances must be carefully considered as you analyze whether those conditions can be satisfied by your business.